Almond, Pistachio and Sour Cherry Wafers are great to have on hand for the holidays. THERE’S ALWAYS excitement when people hear a new Ottolenghi cookbook is coming out. The chef-author has a first name — it’s Yotam — but the last part has become a description, a recommendation and even a verb. You might have encountered it by seeing shakshuka or socca crepes or cauliflower “cake” spread through friends’ cooking repertoires with savory speed, or by tasting meals that sing with surprising cross-cultural flavor combinations, or by seeing “Ottolenghized” ingredients like sumac, once hard to find here, become shopping-list staples. 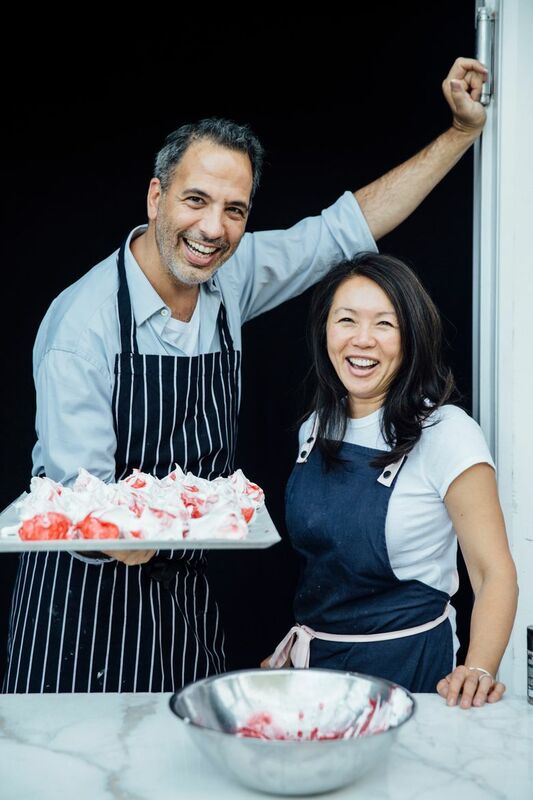 The chef, who owns several delis and restaurants in London, came to Seattle in the fall with pastry chef Helen Goh, co-author of their new dessert cookbook, “Sweet” (Ten Speed Press, $35). Their appearance at SIFF Cinema Egyptian sold out in a flash. 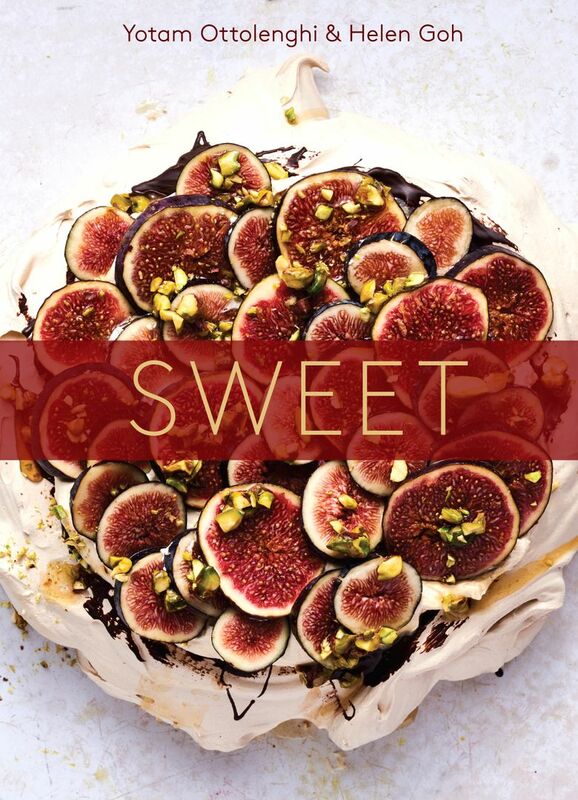 I was the interviewer that night, and when we peeked out from backstage, the sea of happy people brandishing white-red copies of “Sweet” (that’s a cinnamon pavlova with fresh figs on the cover) made me think of rock fans holding up lighters in the concert arena. That’s a good reminder of why cookies and cakes are such a mainstay of the holiday season. And they seem especially sweet when different traditions are explored, whether adding rose water to a flourless chocolate cake or infusing pastry cream with saffron. Recipe by recipe, it tastes something like peace on Earth and goodwill toward all. 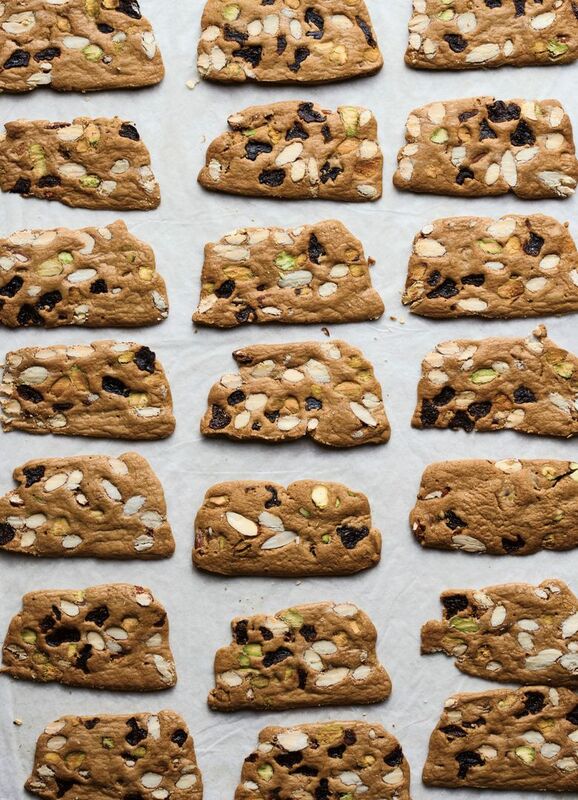 For the holidays, it’s hard for me to stop baking one of the book’s least dramatic-sounding recipes, a nut-fruit cookie that can be tossed together and then frozen before the dough is sliced and baked. It’s easy, unexpected and great to have on hand for coffee with guests. 1. Line the base and sides of a regular 8½-x-4½-inch loaf pan with parchment paper, and set aside. 2. Sift the flour, baking soda, cinnamon and salt into a large bowl, and set aside. 3. Place the butter, sugar and water in a small saucepan over medium-low heat. Cook for about 5 minutes, until the sugar has dissolved, then pour into the dry ingredients, along with the almonds, pistachios and cherries. Mix to form a smooth, glossy dough, then tip the mixture into the prepared pan, pressing down firmly. Cover the top with a piece of parchment paper, and transfer it to the fridge or freezer for several hours to firm up; it should be cold but pliable when pressed, for ease of slicing. 4. Once the dough is firm, preheat the oven to 375 degrees F. Line a baking sheet with parchment paper. 5. Slice the loaf as thinly as you can without the slices breaking — 1/8-inch thickness is ideal — and lay out on the parchment-lined baking sheet; they won’t spread during baking, so don’t worry about spacing them apart. 6. Bake in batches 10 to 14 minutes until golden brown (timing will vary depending on how thick the slices are). Remove from the oven, and set aside until completely cool; they will be slightly soft when warm but will harden and crisp up as they cool. Note: If you freeze the dough once it’s shaped into a loaf, transfer it to the fridge the night before you want to bake it, or just remove it from the freezer for a couple of hours before slicing. It is much easier to slice when not completely frozen.